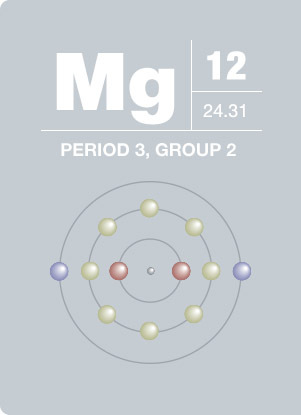 In the presence of a high concentration of chlorine, the Mg1s peak will be strongly overlapped by the Cl LMM auger peak. It may preferable to acquire Mg2s and/or	Mg2p regions instead of the Mg1s peak. Mg1s peak often accompanied by Auger peaks between 300eV-390eV. 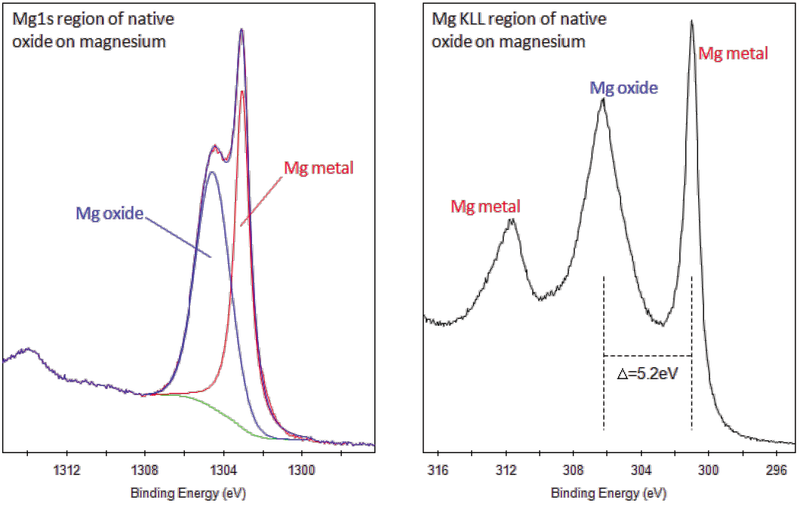 If magnesium is buried (under carbon, for example), Mg KLL Auger peaks may be observed even if Mg1s is not (due to difference in electron kinetic energy). The principal Mg KLL Auger peak (binding energy 300-306eV) has large chemical shifts and may be useful for chemical state analysis. Ca2p and Mg KLL peaks can be easily mistaken. Check for presence of Ca2s peak for confirmation of calcium. 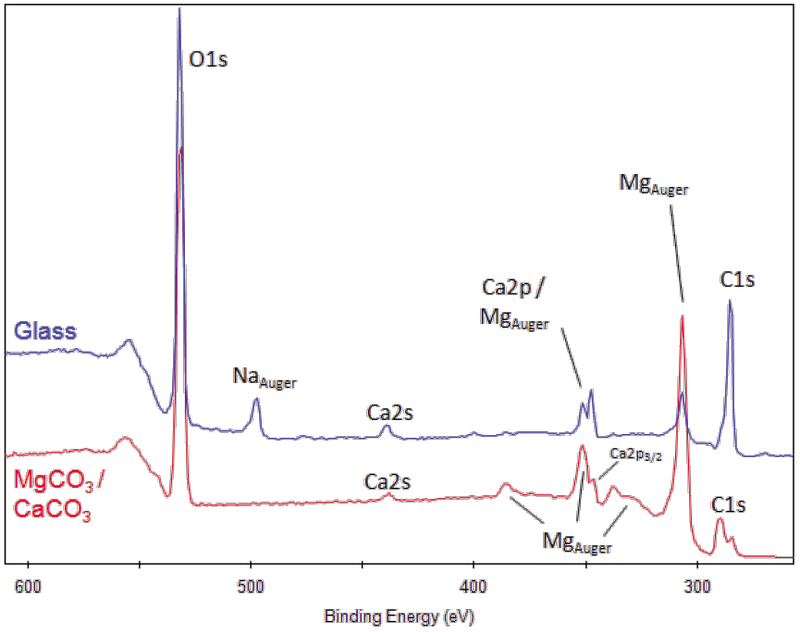 Also check for spin-orbit splitting on the suspected Ca2p peak (Ca2p3/2 and Ca2p1/2 components split by 3.4 eV, with an intensity ratio of 2:1). Magnesium was present in the water of a certain farmer in Epsom, England, where it was found to heal rashes and other skin problem – thus the name Epsom salts. Magnesium is an abundant element, and is essential to the cells of all known living organisms. As plants use magnesium in the production of chlorophylls, most green vegetables, such as spinach, are good sources of magnesium. Since magnesium is a lightweight metal, about 2/3 the weight of aluminum, automobile manufacturers use it to produce various car parts. A racing Corvette was built with magnesium body panels and for many years Porsche used a magnesium alloy in its engine blocks.